Expansion of mobile workforce and explosion of mobile devices and tablets lead to the experience of accessing information on the go. Today’s workforce needs to make time-critical decisions quickly and efficiently. Organizations need to empower their workforce with real time information irrespective of where they are, when they need or how they need. Providing personalized reports, dashboards, analytics, and metrics accessible in real time anywhere and anytime is an integral part of success of any organizations. 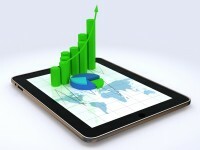 SAP BusinessObjects Mobile BI application is designed to do just that. GloWiz helps organizations to design, develop and deploy anytime anywhere mobile business intelligence delivered on smart phones and tablets. With our agile development methodology and rapid development helps to implement quickly and efficiently. Our development strategy is based on bringing measurable benefits of deploying mobile applications. Our development strategy ensures the application fits the requirements and aligns the business vision and information technology strategy. The deployment architecture is scalable, provides platform for agile development, supports effective distribution to devices, dynamic security for applications, and easy to support and maintain. Overall it meets the use case and business requirement while providing better user engagement and experience. Follow SAP recommended best practices from architecture, design, development, deployment phases and all through the agile development methodology.